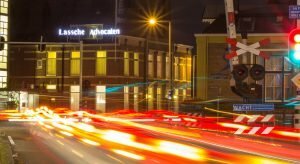 The Dutch law firm Lassche Advocaten offers professional debt collection for any size commercial debts in The Netherlands. We have comprehensive facilities to deal with all aspects of our clients’ debt recovery requirements, whatever the size of their business. Our team of debt collectors has a high success-rate for collecting debts in Holland. The team of lawyers and debt collectors has over 20 years’ experience of dealing with debts using various collection tools. We are able to offer a fast and efficient collection service. Our clients have the reassurance that recovery of all debts is personally supervised by a specialised solicitor or collector. As a result, all debts are processed in the most efficient and appropriate manner. If the debt is disputed, we have (unlike ordinary debt collection agencies) full facilities to pursue contested proceedings on our clients’ behalf and to progress the matter to the earliest possible conclusion. Our debt collection agency is suited to claims which are not disputed based on payments which have been invoiced for or are otherwise overdue. Before starting the collection procedure, our collectors will check the information supplied. Normally, we only require the identity of the debtor and details of the debt (for example, copy invoices) in order to initiate recovery. Assuming that the information is sufficient to enable us to proceed, the debtor is contacted directly via formal letters and telephone calls and all efforts are made to settle the debt amicably without having to instigate legal action. Unless details are provided of a contractual rate of interest, statutory interest and our fee (15% of the debt plus VAT) is added to the amount claimed from the debtor. Most of the assignments are completed at this stage. Occasionally, the debtor asks for payment to be made by instalments. If the proposal is accepted, we will arrange a payment scheme and monitor the fulfilment of this scheme. If payment is not made within the time limit specified and the debtor refuses to respond to our attempts to negotiate the recovery, our lawyers shall report to you accordingly, advise you if legal action in our opinion is warranted, and if so what costs would be involved. This ensures that you retain at all times control of the costs associated with such legal actions. Our debt collection service is generally based on a no-cure, no-pay commission basis on monies collected whether paid direct or through our office, once the file is placed with us. Our fee is 15% of the collected amount plus VAT (called ‘BTW’ in Dutch). There may be additional costs for business extracts or other information to check the debtors address. If it is necessary to institute court proceedings, our standard charging rates apply and there is also a court fee payable. The court fee varies according to the value of the claim. The rates of our attorneys are based on the time spent dealing with the matter and the value of the claim. We may require advance payment of the fee before instituting proceedings. However, we will give you the option of deciding whether to proceed before these charges are applied. Reviews were written by real clients after taking a service from Lassche Advocaten.